Independently fire tested to Swedish NT 017-60D, 90D &120D. 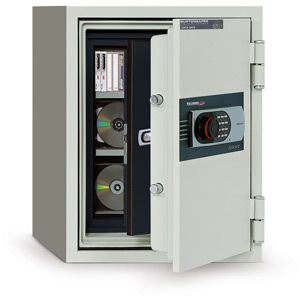 Offers between 60-120 minutes fire protection for computer media at temperatures of up to 1010°C. Protection against water & smoke damage. Protection against magnetic fields and electrostatic waves. 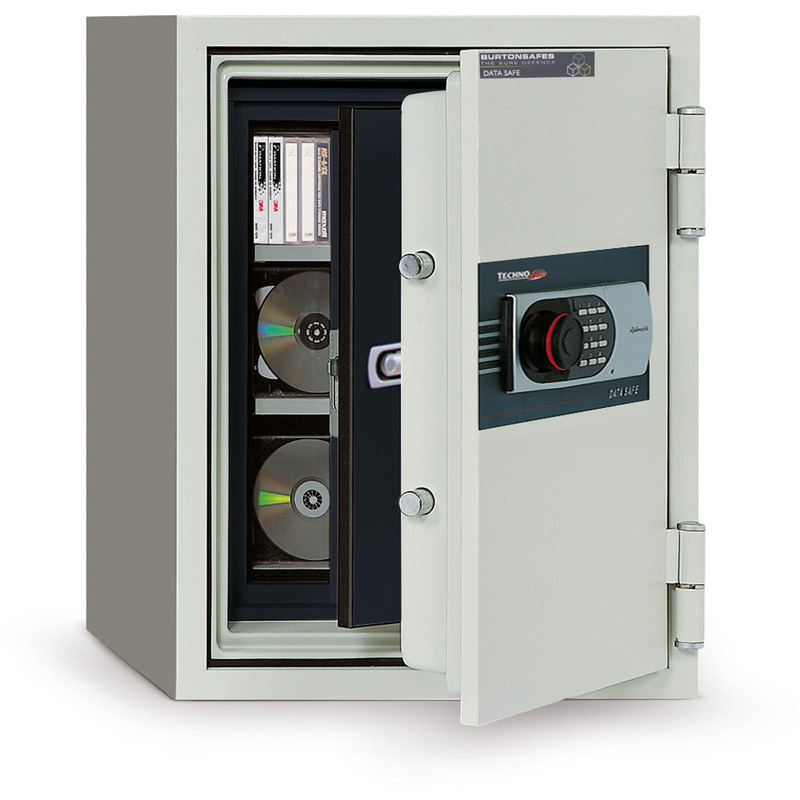 Electronic locking as standard. High security double-bitted key lock available upon request. Multipurpose drawers in models 825 (2), 120 (4) & 130 (5). Removable shelves (one in models 125, 530, 120, & 130, two in model 070).